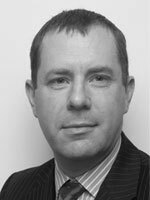 Mr Kerry Acton is a Consultant Orthopaedic Surgeon at the Royal Surrey County Hospital. He specialises in hip and knee surgery as well fractures. He performs complex and revision hip replacements, knee arthroscopy and replacements. He has a particular interest in hip and knee pathology in the young patient. He uses hip arthroscopy to treat younger patients. Mr Kerry Acton does not hold a share or financial interest in this hospital, another Nuffield Health hospital or the company. Mr Kerry Acton does not have a share or financial interest in equipment used at this hospital or another Nuffield Health hospital. Mr Kerry Acton does not hold any paid advisory role(s) at this hospital or on behalf of Nuffield Health.